Wings 4 Kidz transports children with serious or life threatening illnesses and their families, from regional areas to major cities for pediatric care. They provide a free, professional and reliable flight and ground transport service, to lessen the burden for families at an already stressful time. Wings4Kidz aircraft are registered for commercial operation, and pilots are carefully selected for their skills and experience to ensure the highest level of safety is provided for the precious cargo. 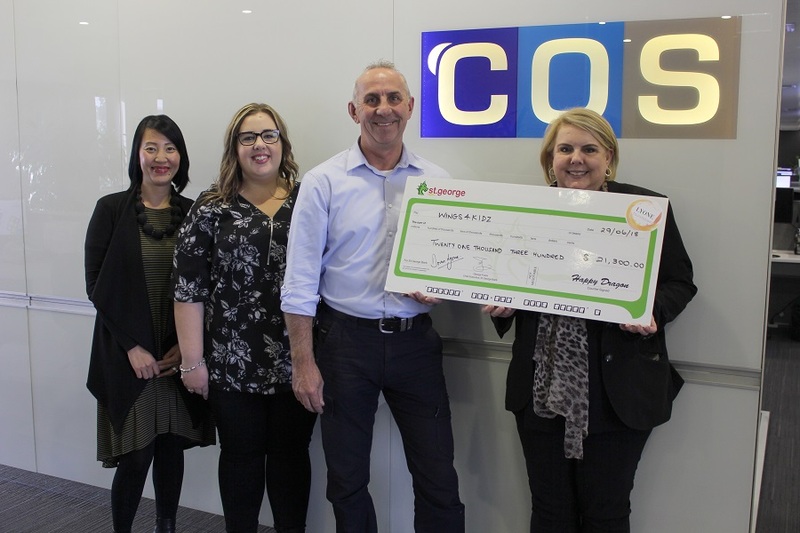 The COS team from Sydney Head Office were compelled by this charity’s invaluable work and proudly presented a $21,300 cheque from the Lyone Foundation.